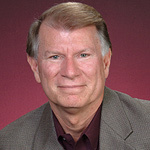 ED DELPH, who has traveled to or ministered in over 160 countries, has been a pastor for 25 years. He is currently the founding pastor of an exciting new church called Church@Community built on the principles of his book of the same name. Ed received his Doctorate of Ministry in Faith in Culture from the Phoenix University of Theology. He also devotes himself to the call of NATIONStrategy, an organization that unleashes the potential of communities through the strategic alliance of church, business, government, and media. A noted speaker, author, and an apostolic figure to many churches globally, Ed serves “the Church” as well as “a church.” He is Dean of Faith in Culture at Phoenix University of Theology as well as serving on the National Council of Ecclesiology. In this message at a breakfast meeting of business people, Ed makes the point that they are God’s Marketplace Ministers. You can watch all these video messages for FREE on Youtube. Click on "watch free"
and you can listen to the audio mp3 tracks free as well. Click on "listen free"
To buy DVDs or USB stick, click on the item(s) catalog number. Postage is extra, even in NZ. Remember the shopping cart will give you a discount of 10% for 5 or more items. (in New Zealand Dollars) . Optional NTSC standard for USA, Japan, Korea, Philippines etc are available. Postage & packing is extra for all orders. Choose your country area in the shopping cart to add postage. Your Credit Card or Paypal balance will be charged in the equivalent of the NZ Dollar total.